From Lord, Is This a Psalm? (Hanging Loose Press, 2002). 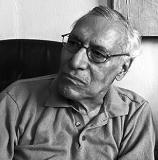 Jack Agüeros (1934 - 2014) was a New York City-born poet, writer, translator, community activist, and Air Force veteran. He was also the director of East Harlem's Museo del Barrio for eight years. The son of Puerto Rican immigrants, Jack was a lifelong advocate for Latino rights; his award-winning work often focused on the struggles of Puerto Ricans living in America. This is a heart-felt psalm. Thank you. The reason for the season in shining ode format! Blessings & many thanks to the author & his son. Yes! Most problems are a matter of distribution. fine poem. Very meaningful poem. Love it. Thought-provoking. Fine poem! One I will remember. I wonder, too. A fine poem. Yes, yes. Five stars for stirring the conscience! I don't know what has affected me so much about this little poem - but i had to blow my nose a few times! This is needed. It should be a sacred song.